Colorit Bond ships via UPS Ground only. Cannot ship via air or by Fed Ex. Forms a chemical bond between Colorit and the metal to which it is being applied. Requires use of Colorit Curing Light. 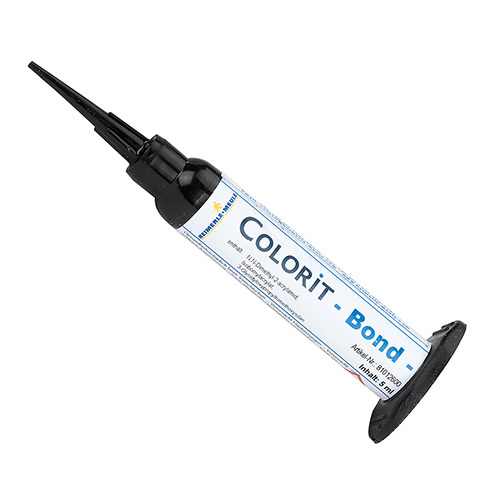 Colorit Bond is the primer that is required for Color adhesion to larger inlays, over shiny metal surfaces or jewelry that will be electroplated after Colorit is applied. First, apply a layer of Colorit Premium Bond and let dry. Next, add a layer of Colorit Bond and light cure. Finally, add Colorit Color in layers as usual, light curing as you proceed. Then apply the first layer of Colorit color as usual. Please note: Colorit Bond ships via UPS Ground only. Cannot ship via air or by Fed Ex.